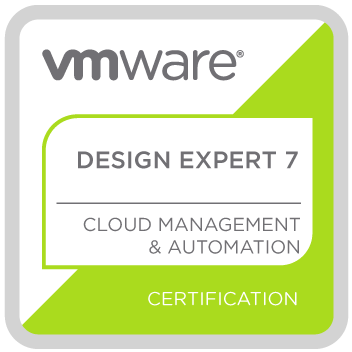 The VMware Certified Design Expert in Cloud Management and Automation (VCDX-CMA) is the highest level of certification offered for VMware Cloud Management Platforms, including vRealize Automation enterprise design and deployments. The VMware Certified Design Expert program proves top-level skills in gathering and interpreting requirements, and planning, creating, documenting, and testing an implementable design that meets customer objectives and constraints. Submit the design portfolio that includes all aspects of a full strategic and deployable cloud management platform design and have it approved by a three-person panel.